I had just finished prophetically teaching a group that when a revelation comes into your soul and spirit, to pray out what you need to pray it out, but also pray into it. I was teaching them that often the Lord gives us revelation through declaration. As we are caught up in the moment and in the Spirit, praying and speaking out and declaring out the very thing which we are receiving to speak out could be a word of knowledge from our heavenly Father. When something cycles in your spirit man, press into it to see if there is more revelation our Father desires to distribute to you. There is a law of establishment. What do you want to establish in this hour? The Lord says to release it, release with your words what you want to establish with your words. The Lord says, “My people have been silent, thinking they can establish in their minds, but out of the abundance of your heart your mouth speaks” (Luke 6:45). God says to speak ­– speak out! Decree a thing and it will be established! “You will also declare a matter, and it will be established unto you; and the light will shine upon your ways” (Job 22:28). The Lord says, “What are you establishing with your words and even more, what are you establishing with My words? I have given you a book, the Bible, full of words to establish with. My Word is full of healing, deliverance, trust, hope, and prosperity. My written Word I have given you to establish whatever you need. My written Word produces prophetic action, a shift and change in the spirit realm which leads to action. It unlocks things. It unlocks tools, revelation, and equipment you need to move spiritually forward. “The time is now to unlock your destiny! I am your life source! Speak life! Speak hope! Decree! Declare! Now is the time! Now is the season! I have set you apart. You are a chosen people, a chosen generation. Now go and establish what I have called you to do; raise the dead, heal the sick, and cast out demons. Prayer: Father God, we seal this prophetic word in and call it forth according to Your will and Your Word. Have Your way, Father. Release Your assignment, release angels on assignment. Help us to be bold, to speak out, and to establish in the spirit realm. Convict us, Holy Spirit, to break off passivity and complacency to rise up and pray and declare that You will manifests in our lives. I bind and restrict any of the enemy’s attacks on this word. I bind and restrict him from waging warfare against it or attempting to steal, kill and destroy this word in Jesus’ name. Amen! 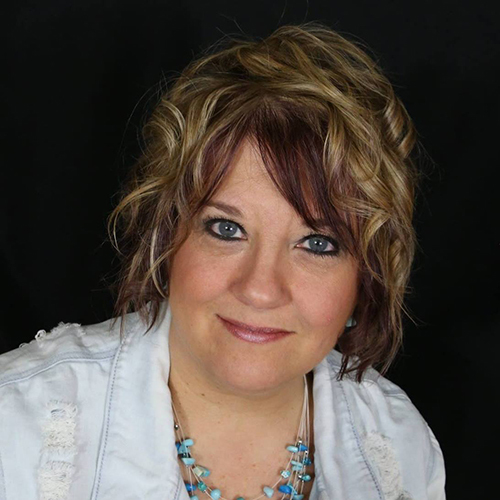 Kathy DeGraw is a prophetic healing and deliverance minister and the founder of DeGraw Ministries. She is passionate about releasing the love and power of God to empower and activate people. She gives Believers tools to walk in the supernatural and launch them into their prophetic destinies! She is the author of several books, including SPEAK OUT, WARFARE DECLARATIONS, IDENTITY INVASION and contributes to Charisma Magazine and Charisma Media’s Life in the Spirit Series. You can connect with Kathy on Facebook or visit her ministry website.